Early Birthday Present /// Happy CNY in Advance! I'll be in Tawau the next two weeks, so yeah I probably will not be able to respond to any e-mails or comments. Cobwebs will build up on this blog too hahaha and I can only dust them off when I come back. 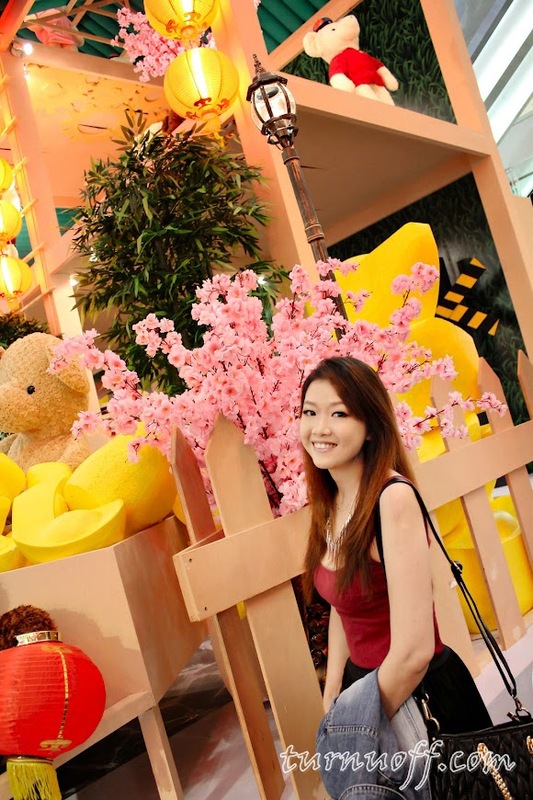 Picture was taken at Beary-land, before I went to the SOP restaurant & bar soft launch. It's 5 days to go before Chinese New Year and 5 days ago, I received an early birthday present from my BFF! THANK YOU SO MUCH, Mariuca! Woohoo! 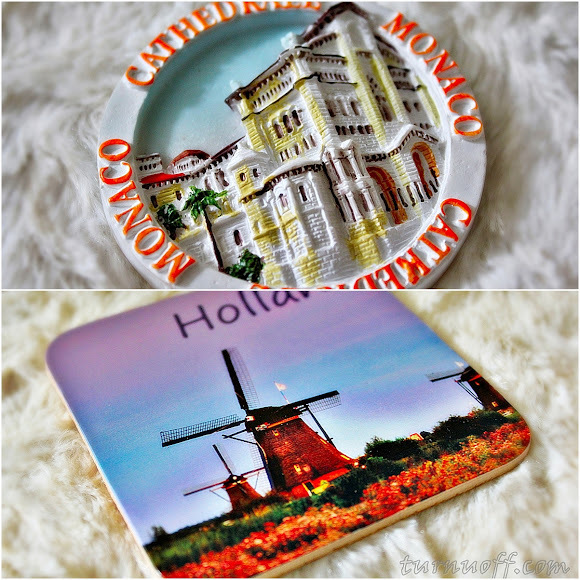 These Monaco Cathedral fridge magnet and Holland cork coaster would be great to add to my collection, you can never have too many of them. Love the cute little leopard print purse-shaped lip-gloss pot that looks like a retro purse! Gosh, what did I do to deserve such an awesome girlfriend? Okay, I need to start packing, scrub my face, paint my nails but before all the craziness starts, here's wishing you Gong Xi Fat Cai (in advance) and hope you get a lot of fat ang pows this year hehe. I'm usually not without words on my Wordless Wednesday posts, but there's still so much work to be done before I fly back home (yay!). So I'm just gonna post up some pictures, hope you enjoy these pictures as much as I enjoyed taking them last Sunday! This year, I didn't specifically go Chinese New Year shopping as I still have new clothes, never worn, with tags attached (thank you, advertisers). Went to Paradigm Mall to attend an event and since I got there early, I dropped by Sephora to see what's new. Before entering the store, I was quite surprised to see so many teddy bears were placed all over the upper atrium! After a second look, I realized, it's the mall's Chinese New Year theme - The Beary Journey. Big teddy bears, small teddy bears, brown teddy bears, white teddy bears... you can't miss the Beary-land! Hmmm, thought I could ride a ride-able "horse" with the backdrop of an old style Chinese countryside. #10 Love the teddy bear in pink cheongsam! I've never worn a cheongsam before; maybe I should get one, haha. 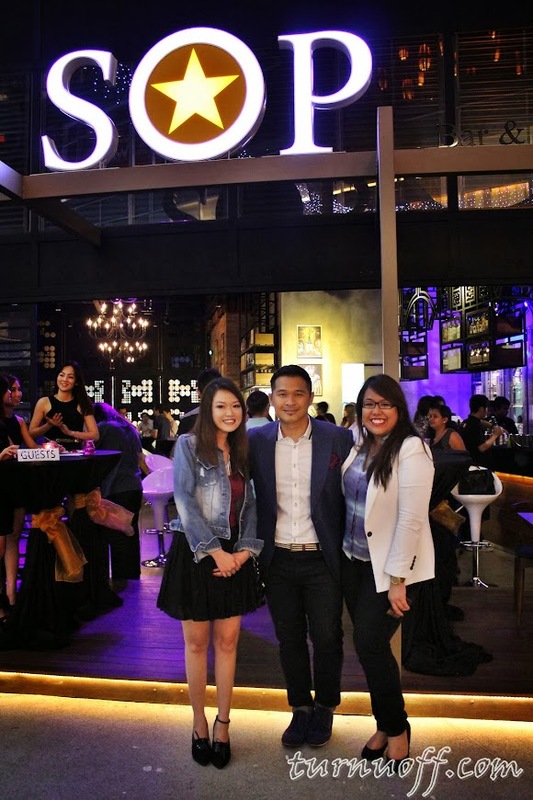 Last night Ralph and I had the pleasure of being invited to the soft launch of SOP (Same Old Place), the newest restaurant and bar in Klang Valley - thank you Mr. Choon and Miss Sarah. #3 Located at Lot 07 (opposite TGIF), Ground Floor Boulevard, Paradigm Mall, it has a spacious al fresco dining area, a pub area and a VIP corner, thoughtful enough to cater to different needs. #9 Benediktiner - Like luminous amber suffused with orange highlights, Benediktiner Weissbier sparkles in the glass, with an opalescent appearance lent by the natural cloudiness of the yeast. Its rich, white head is characterized by a good density and fine texture. The pot-pourri of aromas combines strong caramel notes, with hints of honey and fruits, chief among them bananas and raisins. Each gently sparkling sip melts on the tongue and palate, bringing a distinct sense of refreshment. A full body, with a harmonious balance of sweet and a discrete bitterness in the background, creates a smooth, creamy mouth feel. Konig Pilsener was the first German premium Pilsener beer to gain widespread acceptance wherever quality of the highest order sets the standard. No other brand combines success and excellence as perfectly as Konig Pilsener - the king of beers. The finest, carefully selected ingredients and the knowledge of generations of the best master brewers provide the basic for the success of the unique taste of Konig Pilsener. Kostritzer Schwarzbier - A mahogany color and a lasting, a cream-colored, finely pored head are the defining features of Kostritzer black lager beer. Its expressive fragrance evokes a range of intense spicy aromas, including sage, roasted chestnuts, dark honey, and bitter chocolate and fresh farm-baked bread. Dry on the palate, and marked by bittersweet herbal and toasting aromas. The intense aromas are balanced by the gently sparkling carbonation with freshness and elegance. With delicate bitter tones and malty sweetness, it finished slowly on the palate. A complex, many-layered black lager beer that tastes lean and refreshing with its abundance of flavors. Kostritzer produces more than 400,000 hectoliters of Schwarzbier, making it Germany's number ONE black lager beer brand, a position it has held for 20 years now. Licher premium beers are a treat for every taste in beer with the highest standards of quality. With the classic varieties - Licher Pilsner, Licher Export and Licher Weizen wheat beer, and the low-alcohol and non-alcoholic variants Licher Leicht, Licher Isotonisch Alkoholfrei and Licher Weizen Alkoholfrei. #10 Wernesgruner - Brilliant golden yellow with a light, white head is the unmistakable appearance of Wernesgruner Pils Legende (glass on the right side). This beer is characterized by an intense aroma of hops combined with a whiff of malt, reminiscent of the smell of ripe grain and fresh white bread just out of the oven. Lean, fresh flavor on the palate with natural sprightliness, subtle fruitiness reminiscent of apples and bittersweet hop aromas that linger harmoniously. Apart from the beers, SOP also offers a wide range of wines, liquors, cocktails and non-alcoholic drinks, concocted by its very own mixologists. #20 Ralph and John, a professional photographer - sorry it's blurry. I wasn't drunk okay! 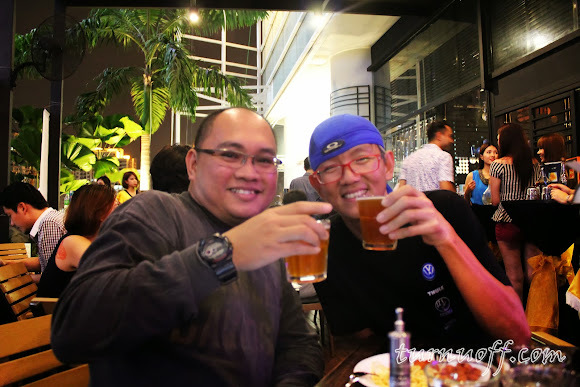 With selection of premium beers and exclusive liquors, SOP serves western cuisine and German-inspired cuisines that certainly complements the top German lagers. #25 The chic and masculine decor, complemented by soothing jazz music creates a perfect atmosphere for everyone to enjoy the drinks and food. Operating from 11am to 1am daily, SOP features eclectic mixed by guest deejays from 8pm onwards too. Lots of eating, drinking and merriment, we had such a great time!